New Hampshire lawmakers who disappointed schoolchildren and made national news four years ago by refusing to designate an official state raptor have had a change of heart. 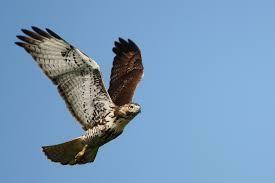 In 2015, the House rejected a bill promoted by Hampton Falls fourth-graders to honor the red-tailed hawk. With students looking on, opponents called the bill unnecessary and the bird too violent. One lawmaker even suggested it would make a good mascot for Planned Parenthood because it tears its prey apart, "limb from limb." Now in eighth grade, students lobbied for a new bill this session and watched from the gallery Wednesday when the House voted 333-11 in favor of the bill. They wore T-shirts playing off the state motto: "Our Second Try to Live Free & Fly."